Who Should Pursue Online Education? Online learning gives students the ability to study on their own schedule, offering flexible course hours and the ability to maintain a career. The convenience and flexibility of distance learning has most colleges turning to online programs. The trade publication EdTech reports that more than 28% of current college students are enrolled in at least one online course, a figure that amounts to more than 5.8 million students. 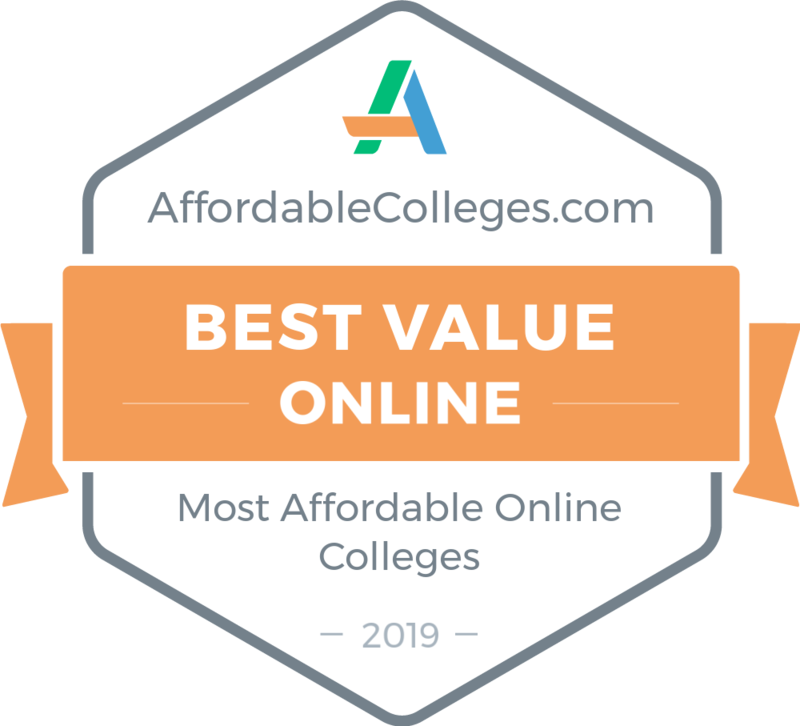 This ranking compiles some of the cheapest online colleges in the country, all of which allow you to earn a four-year degree fully online. These schools are all fully accredited, academically respected, and offer affordable tuition. We ranked these schools by cost and return on investment, highlighting programs that offer the greatest earnings potential after graduation. One of the most affordable online colleges in the U.S., the University of Florida offers flexible scheduling. Students may take as many as 18 credits or as few as three credits each semester. Distance learners can take a one-semester break without penalty. Asynchronous courses let students watch lectures and complete schoolwork at their convenience, although learners must still meet deadlines. Plus, all students work with an academic advisor who can help them create schedules to fit their needs. The university administers 20 web-based majors and five minors. Students can choose between degrees like anthropology, biology, business administration, environmental management, and nursing. Distance learners must complete 120-124 credits of coursework to graduate. Several programs include a seminar, practicum, capstone, or final project during their last few semesters, which synthesizes information taught throughout the major. Non-degree seeking students can pursue undergraduate and graduate certificates. The university holds accreditation from the Southern Association of Colleges and Schools Commission on Colleges. UF prides itself on keeping education affordable for both in-state and out-of-state students. Active duty military servicemembers and veterans may qualify for resident tuition even if they live in another state, which could cut tuition fees in half. Requirements for transfer students depend on the program; however, all programs require transfer students to have at least 60 college credits, and the minimum GPA requirement ranges from 2.0 to 2.8. Freshmen must submit their high school transcripts and official ACT or SAT scores. In addition, the nursing program functions as an RN-to-BSN degree, which means candidates must already possess an associate degree and an active nursing license. Omaha-based Nebraska Methodist College of Nursing & Allied Health grants degrees in nursing, allied health, and healthcare management. The school offers programs at every level, including associate, bachelor's, master's, and doctoral degrees, as well as certificates. Students may complete some of these programs online, like an RN-to-BSN, healthcare management, respiratory therapy diagnostic medical sonography, and several master's degrees. Learners may complete other programs in a hybrid format, partially online and partially in-class, like the healthcare management bachelor's degree. Nebraska Methodist, which possess accreditation from the Commission on Collegiate Nursing Education, the Higher Learning Commission, and the Nebraska Board of Nursing, allows distance learners to enroll either part- or full-time. Some courses have specific class meeting times, while others let students log on at their convenience. Although course formats vary, students participate in discussion boards, write papers, complete online assignments, and make presentations. According to the online college's FAQs, coursework demands 10 to 30 hours of students' time per week. Additionally, all nursing students must take part in clinicals or a practicum. They can complete this requirement in their own communities. To apply, prospective freshmen should submit their high school transcripts or GED scores, in addition to ACT or SAT scores. Transfer students must do the same in addition to sending in previous college transcripts. Transfer credits expire if they are over five years old. Nebraska Methodist is an affordable online college, but incoming students may want to apply for scholarships and grants. Applicants who reach certain academic standards -- a 3.2 high school GPA and an ACT score of 25 -- receive $4,000 each year for merit. Applicants with a 2.75 GPA and 20 ACT score get $2,000 each year. Scholarship candidates may also apply for the dean's or presidential scholarship. Founded in 1963, the University of Central Florida is a relatively young university; however, it grew fast. Today, the university enrolls over 67,000 students, making it one of the largest colleges in the country. The school has one of the most extensive and affordable online colleges as well, offering over 60 web-based certificates and master's and bachelor's degrees. Students may enroll in online programs like creative writing, nursing, political science, criminal justice, and health informatics and information management, among others. Distance learners can also pursue bachelor's completion programs. All degrees hold accreditation from the Southern Association of Colleges and Schools Commission on Colleges. The university offers low tuition rates for undergraduate and graduate students. Plus, the online school waives on-campus fees, like student health services. UCF provides numerous scholarships, with awards reaching up to $10,000. Students can search a database to find scholarships. Even though distance learners do not receive the same services as their on-campus peers, they can access many online student services such as a virtual career center, online consultations with tutors from the university writing center, and a web-based mental health program called Therapy Assisted Online (TAO) Self-Help. To apply, prospective undergraduates need to submit official high school transcripts with a minimum 2.0 GPA. They should also submit ACT or SAT scores -- unless they have 60 or more hours of transferable college credit. In that case, UCF considers applicants transfer students. Students applying for the RN-to-BSN must hold an active nursing license and an associate degree with a 3.0 minimum GPA. Graduate students must submit their undergraduate transcripts, and certain master's programs require GRE scores. Miami-based Florida International University began in 1971 on an abandoned airfield. Over 5,600 students enrolled on the first day, many of them in their mid-twenties and working full-time. Today, FIU enrolls about 57,000 students and still welcomes nontraditional students who want to further their education while working or raising families. The affordable online college at FIU caters to these students. FIU offers numerous bachelor's and graduate degrees in addition to graduate certificates. Students can pursue education, nursing, health administration, or business degrees. They might choose a degree like logistics engineering or information technology, or they may go the humanities route, with programs like anthropology, English, or Latin American and Caribbean studies. FIU possesses accreditation from the Southern Association of Colleges and Schools Commission on Colleges. Some degrees hold additional programmatic accreditation; for instance, the Commission on Collegiate Nursing Education accredits FIU's nursing program. Before starting their programs, all students participate in an online orientation course that prepares them for web-based classes. Distance learners can work with success coaches through online coaching sessions; these coaches help students reach their goals. Students can also work with online tutors. FIU allows online students to walk on campus at graduation if they wish. Prospective students with fewer than 12 college credits must apply as freshmen, submitting high school transcripts and SAT or ACT scores. Transfer students must submit transcripts from their previous colleges. Graduate students should do the same, and they must have earned at least a 3.0 GPA during their undergraduate degrees. The university also offers several scholarship opportunities, including merit scholarships and financial help for first-generation students. One of the youngest colleges on this list, Grace College of Divinity started educating students in 2000. GCD, located in Fayetteville, North Carolina, operates an online Bible college for students who want to go into ministry. Online students can earn certificates, associate degrees, or bachelor's degrees in Christian leadership, ministry, intercultural studies, or divinity. Distance learning graduate students may pursue an MA in Christian leadership or a Master of Divinity. The U.S. Army accepts the latter as a qualification to become a chaplain. Bachelor's degrees require 120 credits, associate degrees consist of 60 credits, and master's degree requirements range from 36 to 90 credits. Regardless of the degree, distance learners complete a core of biblical courses, like Old and New Testament Surveys and the Writing of John. Bachelor's students take around 40 credits within their major; courses cover theology and practical ministry. Part of GCD's mission involves allowing students to pursue higher education without being hindered by money. Therefore, the school's tuition rates are under $300 per credit. Students can also apply for several scholarships, many covering up to 50% of tuition. Some scholarships depend on the applicant's Christian character, while others are merit-based and require a minimum GPA. In addition, Grace College holds accreditation from organizations, including the Association for Biblical Higher Education, the Association for Christian Schools International, and the Council for Higher Education Accreditation. Applicants do not need to take entrance exams like the ACT or SAT. Rather, they should send Grace College their transcripts or GED scores in addition to a pastoral and a personal reference. Students with previous college education can transfer credits if they received a C or better. Valley City State University in Valley City, North Dakota, was established to educate teachers. The university still trains teachers, administering several education programs, but it also grants degrees in the arts and humanities, with an enrollment of 1,500 students. The affordable online college at Valley City does the same; distance learners can find degrees in business education, communication, or music, among other topics. Valley City also offers an MA in teaching and a master of education. Each program has different requirements. Generally, bachelor's degrees consist of 120 credits. Some curriculum plans require students to take as few as 43 credits in their major. Other programs require more major-specific credits; business process integration management students, for instance, must complete 69 credits within their major. Distance learners in some programs must also complete practical or field experiences for credit. Teachers-in-training must spend time observing and teaching in schools in their communities. Business students must also complete internships. Therefore, before enrolling, online students should check to make sure they can find opportunities nearby. VCSU possesses accreditation from multiple agencies, including the Higher Learning Commission, the National Council for the Accreditation of Teacher Education, and the National Association of Schools of Music. Prospective freshmen must submit a high school transcript with a minimum 2.0 GPA, and a minimum ACT score of 18 or SAT score of 940. Applicants with at least 24 college credits should apply as transfer students; they must possess a 2.0 college GPA. Incoming students can qualify for scholarships based on their GPA and entrance exam scores. The top scholarship affords students $16,000 over four years. Clarkson College was established as a nursing school in Omaha in 1888. Two students graduated in its first class; today, more than 350 students graduate each year. The school still offers nursing degrees, but it also trains healthcare professionals like radiologists, community health workers, physical therapy assistants, and health information management professionals. All programs at Clarkson hold Higher Learning Commission accreditation, and most are entirely online. Select bachelor's degree programs require students to hold an associate degree or previous work experience; these programs do not require the full 120-credits that traditional bachelor's degrees do. For instance, Clarkson designed its online B.S. physical therapy assistant degree for PTAs who already possess their licenses, but want to advance their careers with a degree. Students can complete the PTA bachelor's with 27 semester hours in four semesters, or 16 months. With numerous scholarships available, prospective students can find cheap online degrees at Clarkson. Incoming first-year students with a GPA of a least 3.4 and a minimum score of 24 on the ACT automatically receive scholarships. Clarkson administers the Gateway to Success Scholarship specifically for minority nursing students. Freshmen must have a 2.5 GPA to qualify for this award. Additionally, Clarkson provides full-tuition scholarships and $4,500 annual stipends for ROTC students intent on joining the Army Nursing Corps. Application requirements depend on the program. Generally, prospective undergraduate students must submit high school transcripts and test scores. Graduate applicants should apply with their undergraduate transcripts. Established in 1956, the University of South Florida enrolls over 50,000 students in 14 different colleges. The Tampa-based school is one of the nation's most affordable colleges, with over 38,000 students receiving an average financial aid award of $10,700 in the 2016-2017 academic year. The university's large size allows the school to offer numerous fully online degrees. Students can choose bachelor's or master's degrees in public health, nursing, information technology, and criminal justice, among others. All programs possess regional accreditation from the Southern Association of Colleges and Schools' Commission on Colleges. While bachelor's degrees generally require students to complete 120 credits to graduate, the number of credits for master's degrees varies. Some bachelor's degrees, like the RN-to-BSN program, only consist of 30 credits; however, this curriculum plan assumes students have completed their associate degrees and hold active nursing licenses. Distance learners can earn their BSN quickly: in five semesters for part-time students and three semesters for full-time students. Online courses at USF follow a traditional semester structure. However, students can choose to enroll in one class during the three-week winter session, which runs from December to January. Distance learners have access to the Florida Virtual Campus, which offers library and academic services. They can also take advantage of the FUSE program, which guarantees admission to USF if students completed the first part of their degree at a partner on-campus or online community college. Applicants not taking part in FUSE follow the traditional approach to admission. Requirements vary depending on the program. As a rule, freshmen should submit high school transcripts and ACT or SAT scores; transfer students with 12 or more credits should submit previous college transcripts; and graduate students need at least a 3.0 undergraduate GPA. The Baptist College of Florida welcomes both Baptists and non-Baptists. The school is relatively small, enrolling 400 students each year. BCF offers all its courses online. The college grants degrees based on the Baptist denomination, with an associate of divinity; bachelor's degrees in biblical studies, ministry, missions, and worship music leadership; and master's degrees in Christian studies and worship leadership. The school also offers secular degrees in the fields of education, psychology, and business. Even in majors not related to Christianity, distance learners must complete 12 credits of biblical and theological coursework as part of their general education requirements. Master's programs require 30 credits in total, while bachelor's programs demand up to 129 credits to graduate. Some programs at BCF allow students to pursue unique pathways. Students can choose to add an aviation concentration to their B.A. in missions, for example. This degree requires some in-person course components, like private pilot and instrument flight instruction courses. All BCF degrees come with accreditation from both Florida's Commission for Independent Education and the Southern Association of Colleges and Schools Commission on Colleges. Admissions requirements depend on the program. Undergraduate students should submit high school transcripts or GRE scores in addition to SAT or ACT scores. BCF does not set a minimum GPA or entrance exam score; however, students must submit a personal and pastoral recommendation. The school also administers several scholarships and offers students advice on how to pay for college. The University of Massachusetts system includes five campuses, instructing over 74,000 students each year. With over 18,000 students, the Lowell campus is the second-largest campus in the UMass System. The school offers several options for online undergraduate and graduate degrees in addition to certificate programs. The university administers distance learning degrees in several areas, but the most common programs include information technology undergraduate degrees, security studies master's degrees, and graduate degrees for educators. All online programs hold regional accreditation from the New England Association of Schools and Colleges. UMass Lowell's online program allows students to take one to four courses each semester, letting distance learners set their own pace. Undergraduate students must complete 120 credits to graduate. For master's degrees, the curriculum plans typically consist of 10 courses per program. Some programs require a capstone course that takes a cumulative look at the program's material. The school also provides free advising sessions through phone calls, email, Skype, or online chat. An affordable online college, UMass Lowell offers several scholarship opportunities for those who need help paying for college. Most scholarships are merit-based; students must meet a certain GPA to apply. In addition, veterans may receive credit waivers through merit- and need-based grants. Transfer students may receive credit for previous college coursework if they earned at least a C-, which can also reduce tuition costs. To apply, first-year students should submit high school transcripts and ACT or SAT scores. UMass Lowell waives entrance exam requirements for applicants over 21 who possess 12 credits of college coursework. Located in Minot, South Dakota, Minot State University enrolls over 2,000 students. The affordable online college at MSU offers certificates as well as bachelor's and graduate degrees. Non-degree students can also take online classes. Minot State created its distance learning program for those who need to balance school with work and other responsibilities. The Higher Learning Commission grants accreditation to Minot State University. Online undergraduate majors include criminal justice, international business, and marketing, among others. Some programs offer full degrees, requiring students to complete at least 120 credits to graduate, and some are bachelor's completion programs. The BSN completion program, for instance, accepts students with associate degrees or a substantial number of previous college credits. Distance learners can choose to enroll full- or part-time, finishing the program in two to four semesters. Graduate students can choose master's degrees in areas like education, information systems, and sport management. The master's in special education allows students to choose between concentrations in deaf or hard of hearing education, learning disabilities, early childhood special education, or special education strategy. Graduate programs require students to complete a minimum of 30 credits to graduate. MSU provides several financial aid resources to students. The school gives automatic scholarships to freshmen who meet certain GPA and ACT or SAT score requirements -- those scholarships total $12,000 over four years. MSU supplies scholarship funding to transfer, graduate, and minority students, too. Online students may qualify for a tuition payment plan, which allows them to pay a tuition installment every month rather than the bulk sum at the beginning of the semester. Interested undergraduates should submit their high school transcripts and entrance exam scores, while prospective graduate students must apply with transcripts from bachelor's degrees. Piedmont International University operates as a Bible university. Although based in Winston-Salem, North Carolina, the school offers programs to students from all over the globe through the Spurgeon Online School. PIU even conducts some of its graduate programs in Spanish and Portuguese. The university's relatively small size -- enrolling under 900 students each year -- does not stop the school from offering several online programs. Distance learners can enroll in undergraduate majors including biblical studies, ministry, and sign language interpretation. They can also pursue graduate degrees like a master of divinity or MA in ministry. PIU also offers the MA in ministry in Portuguese. Doctoral students may earn degrees in ministry, biblical studies, and leadership. All Piedmont programs hold national accreditation from the Transnational Association of Christian Colleges and Schools. Distance learners can choose from six different start dates. Courses last seven weeks, and students can decide how many credits they take each term. The online school hosts web-based learning through several different methods. Students can attend on-campus lectures through integrated courses, or they can watch recorded lectures and participate in online discussion boards. Piedmont prides itself on keeping costs low for students. Students can choose to make payments throughout the semester rather than at once. The school also provides learners with institutional grants and scholarships. Academic rewards for undergraduate students depend on ACT scores and high school grades. Prospective first-year students must have a minimum GPA of 2.0 and a minimum ACT score of 17 or SAT score of 1230. GED graduates may also apply. Those applying as graduate students must submit undergraduate transcripts. North Carolina State University is a public research university that enrolls over 34,000 students. The school has a reputation as one of the most affordable colleges in the U.S.
NCSU administers 90 programs online. Distance learners can pursue degrees as undergraduates, master's students, or doctoral students. They can also choose to enroll in undergraduate or graduate certificates, teacher licensure programs, or non-degree courses. The bachelor's degree programs require students to come in with prior credits. For instance, the engineering program requires students to complete two years of pre-engineering at another institution. The bachelor's degree programs in public sector leadership, mechatronics engineering, and mechanical engineering systems accept only transfer students. The military public sector leadership program -- designed for active service members who aim to earn their degrees while deployed -- prefers applicants who hold associate degrees. The distance learning program at NCSU offers fully online and hybrid options. The fully-online format includes video lectures and web-based group activities. Students can choose courses that meet at a specific time in a synchronous format, or asynchronous courses in which students can set their own pace and scheduling. In hybrid courses, in-person meetings usually make up 25% of the coursework. All programs at NCSU hold regional accreditation from the Southern Association of Colleges and Schools Commission on Colleges. Admissions requirements depend on students' prior learning experience. Prospective undergraduate students should possess at least 30 transferable credits; NCSU does not define a minimum GPA requirement. Graduate requirements vary based on the program. Additionally, students can apply for scholarships, grants, and loans to help reduce the cost of college. The University of North Carolina at Greensboro, a public research university, has an enrollment of over 20,000 students. The school was established as a women's college in 1891 and began admitting men in 1964, and today the school admits everyone to its over 200 undergraduate and graduate programs. UNCG Online administers eight undergraduate degrees and numerous graduate certificates, master's, and doctoral degrees. Bachelor's programs include peace and conflict studies, business administration, public health, and supply chain management. Graduate degrees are offered in areas like dance education, retail studies, and nursing administration. Distance learners can also pursue two doctoral degrees: an Ed.D. in kinesiology and a Ph.D. in business administration. The Southern Association of Colleges and Schools Commission on Colleges grants regional accreditation to all these programs. Students can choose to meet at designated times through video conferencing or chat boards in a synchronous format, or they can go at their own pace through an asynchronous format. UNCG provides online students with resources like online career services. In addition, tuition for distance learning courses makes the school an affordable online college. The online bachelor's programs at UNCG only accept transfer students. Incoming students may bring in up to 64 transferable credits from a community college, or an unlimited number of credits from an accredited university. Students must submit transcripts and hold at least a 2.0 GPA. Graduate students should also submit their transcripts; however, admissions requirements like minimum GPA or entrance exam scores vary by program. Located in Hays, Kansas, Fort Hays State University enrolls over 15,000 students -- nearly 7,000 in Fort Hays' online college. The school's first 57 students paid $5 for summer courses in an abandoned army post in 1889. Over a century later, the Higher Learning Commission-accredited university does not quite offer courses at the same $5 rate, but it does have an affordable online college. Distance learners may choose from numerous bachelor's programs in subject areas like agricultural business, geography, health informatics, marketing, and sociology. Typically, Fort Hays' online curriculum requires students to complete 120 credits, including 55 general education credits. Certain programs -- like the RN-to-BSN degree -- only accept students who already possess associate degrees or previous higher education experience. FHSU also offers multiple graduate programs. Students can enroll in the MBA program, a doctorate of nursing practice, or master's degrees in education, history, and counseling, among others. Most master's programs consist of 34-36 credits and last 18-24 months. Distance learners can apply for several types of financial aid to help with tuition. The university has a scholarship application portal that connects students to university-sponsored scholarships. Additionally, the state of Kansas offers several financial awards for students going into the technical workforce, minority students, or students who served in the military. Incoming freshmen must possess a 2.0 minimum high school GPA and an ACT score of at least 21 or SAT score of 980. Alternatively, FHSU considers students in the top third of their graduating class, even if they don't meet these requirements. Transfer students should apply with their transcripts, but do not need to submit ACT or SAT scores if they possess over 23 higher education credits. Prospective grad students should also submit undergraduate transcripts. Fayetteville State University is a historically black college in North Carolina. Founded in 1867, after the Civil War, black community leaders in Fayetteville gathered to discuss the creation of a school for African American students. Originally students learned the basics of reading, writing, and math, but the school expanded to educate teachers for the surrounding towns. Today, FSU is accredited by the Southern Association of Colleges and Schools Commission on Colleges and enrolls over 6,000 students. FSU offers several bachelor's degree completion programs through its online college. This means students must start the program with college credit, although prerequisites vary. Online undergraduate majors include sociology, business, criminal justice, nursing, and fire and emergency services administration. FSU also allows students to pursue two master's degrees online in criminal justice or business administration. Distance learners engage in several web-based studying approaches while taking FSU's courses. Professors may expect them to join discussion groups or write blog posts. Students watch recorded lectures and complete assignments or take quizzes to master the topic. The nursing program requires students to complete a senior practicum that includes clinical hours. Those interested in applying must submit transcripts from both high school and previous higher education experience; however, applicants who already hold an associate or bachelor's degree, or those older than 21, do not need to submit high school transcripts. Prospective students must have at least a 2.0 GPA in previous coursework. Incoming students should consider applying for FSU's numerous institutional scholarships. These financial awards may depend on merit or on a student's major or extracurricular activities. East Carolina University, based in Greenville, North Carolina, enrolls nearly 29,000 students in over 160 degrees. Students can access more than 90 degrees and certificate programs through the university's affordable online college. With accreditation from the Southern Association of Colleges and Schools Commission on Colleges, graduates enter the workforce with a valuable degree. The undergraduate programs at East Carolina accept only transfer students. These degree completion programs cover areas like business, education, communication, health information management, industrial technology, and nursing. The online college offers even more graduate programs online, with master's degrees in subjects such as data science, Hispanic studies, and nutrition. Plus, distance learners can take part in online graduate certificates, post-master's and post-doctoral nursing certificates, and alternative teacher licensure programs. Many courses at ECU Online run asynchronously, so students can access materials and lectures anytime. Learners set their own pace, which allows students to tend to other responsibilities like family and work. However, some courses plan chat sessions, where learners can connect with their professors and classmates in real time. In addition, instructors usually set a specific time window for exams. Professors who teach on-campus also teach distance learning courses. They often assign the same reading and assignments. Students should expect to spend 9-12 hours on coursework each week. Additionally, some online programs require students to participate in offline activities, like teaching internships or nursing clinical hours. Undergraduates and graduate students must submit all official transcripts from previous higher education experiences. The way credits transfer to East Carolina varies; students should visit ECU's transfer resource site to learn more. Incoming students may also apply for financial aid through the ECU grant program or through several college or departmental scholarships. Based in Oswego, New York, regionally accredited SUNY College at Oswego emphasizes quality education and experiential learning. Founded in 1861 as a teacher training school, it joined the State University of New York system in 1948. The majority of its 110 academic programs take place on campus, but SUNY Oswego also offers four bachelor's completion degrees online through its Division of Extended Learning. Majors include criminal justice, broadcasting and mass communication, wellness management, and career and technical educator. With online courses available year-round, distance learners can finish their degrees more quickly than they could in a traditional, on-campus program. Students with an associate degree or substantial undergraduate transfer credit can apply to SUNY Oswego's online bachelor's completion programs. The school recommends that prospective learners speak with an academic planning coordinator prior to submitting an application. Students may find it helpful to view the online degree orientation for an explanation of policies and services for online learners. The school's career center serves as an important resource for distance learners; it offers career planning, job fairs, mock interviews, and resume and cover letter help. Students can also take advantage of the Center for Experiential Learning, which offers opportunities to gain real-world professional experience through internships, mentoring programs, and co-ops. Additionally, the school's library offers services for distance learners. SUNY Oswego strives to be an affordable online college and mitigate the financial hardship for distance students. Each year it gives out over $84 million in need-based grants, work-study, and loans -- and more than $6.5 million in merit-based scholarships. Transfer students with a 3.3 GPA or higher can apply for a special $1,000 scholarship that they can renew one time. Distance learners can apply for financial aid at SUNY Oswego, and the school recommends that students fill out the Free Application for Federal Student Aid, or FAFSA, as soon as they apply. Students interested in online colleges should consider the University of West Florida. Based in Pensacola, UWF offers fully online programs, including undergraduate and graduate degrees, certificates, and free individual courses. The school's focus on global partnerships lets students get hands-on experience with international agencies and promotes cross-cultural understanding. Hundreds of students graduate from UWF's online programs each year, and more than 5,000 learners enrolled exclusively in UWF's online courses in September 2018. The school holds regional accreditation from the Southern Association of Colleges and Schools Commission on Colleges. Six fully online bachelor's programs include majors in health sciences, instructional design and technology, and maritime studies. Students must complete 60 credits of upper-division coursework for all bachelor's degrees. UWF offers most of the required lower-division coursework online as well, partnering with local community colleges to help learners meet requirements. Distance learners at the graduate level can choose from 19 fully online master's and Ph.D. programs with more than 30 specializations. UWF designed its online graduate degrees to meet the needs of nontraditional learners. An example of UWF's commitment to affordability includes its out-of-state tuition waiver program for online students. Distance learners outside of Florida enrolled in one of UWF's degree or certificate programs may qualify for tuition waivers that can reduce the cost of attendance. Residents of Alabama enrolled in UWF online programs also qualify for a reduced tuition program called Alabama Differential Tuition. UFW offers a variety of online student support services. Learners can receive technical support through email, chat, and telephone. They can also access library databases, course reserves, journals, and tutorials online -- as well as chat or text with a research librarian. Other student resources include career services, academic advising, and a military and veterans center. Clarks Summit University in Clarks Summit, Pennsylvania, delivers Christ-centered, career-focused programs. Established in 1932, CSU boasts excellent online academic programs delivered by faculty members who see the importance of incorporating a strong biblical foundation into their coursework. Distance learners can find fully online associate, bachelor's, and master's programs. Some doctoral programs take place partly online. Associate degrees include concentrations in addictions counseling, Christian ministries, counseling ministries, and Bible and theology. Students choose from seven, 121-credit bachelor's programs in majors like criminal justice, business administration, and counseling ministries. CSU also offers four master's degrees completely online. The school's culture of mentorship and community provides online learners a support network. Courses include a high level of interaction and discussion between students and instructors. Online classes take place asynchronously, so students do not need to log on at a specific time. CSU's online resource hub offers services to online students, including an online writing center, library resources, disability services, and an IT helpdesk. Students can also find answers to frequently asked questions about online learning. CSU ranks among the most affordable online colleges in the U.S. The school charges the same rate per credit for in-state and out-of-state learners. The school's "no hidden fees" policy makes it easy for students to calculate how much school costs each semester. Online learners may qualify for financial aid and must fill out the Free Application for Federal Student Aid, or FAFSA. CSU offers many tuition discounts, including those for students serving in the ministry, staff members of several Christian organizations, and members of the military. Cleary University in Howell, Michigan, offers a variety of online undergraduate and graduate degrees in the business arts. In 1883, Cleary began as a penmanship school, an in-demand skill in the late 19th century. Today, the school delivers a relevant, high-quality education that prepares students to advance their business careers. Faculty members include industry professionals who understand what types of skills organizations need. Cleary holds regional accreditation from the Higher Learning Commission and membership with the Michigan College Access Network. Distance students can pursue associate, bachelor's, and master's degrees in majors like business analytics, marketing, entrepreneurship, corporate accounting, hospitality management, business leadership, and healthcare leadership. Online courses incorporate case analysis, tests, analytical papers, and capstone projects. Students can also participate in internships and networking events. Students who already hold academic credit from other schools benefit from Cleary's generous transfer policies. The school accepts up to 90 credits towards its 120-credit bachelor's programs. Several bachelor's degree completion programs allow students with an associate degree or 60 transfer credits and a minimum 2.5 GPA to earn a business degree that can further their careers. An affordable online college, Cleary helps distance students apply for financial aid, including grants, scholarships, and student loans. Online transfer students may qualify for multiple scholarships from Cleary. Learner resources include IT support, academic advising, disability services, free tutoring, counseling, career development, and access to essential library services. Career development services for distance learners includes resume and cover letter assistance, mentoring, and networking. Cleary also offers a new student online orientation and academic success webinar that introduce learners to the university's systems, policies, and academic tools. A private Christian university in Montgomery, Alabama, Amridge University readies graduates to serve their communities, professions, families, and churches. It holds regional accreditation from the Southern Association of Colleges and Schools. Founded in 1967, Amridge's experience with online education goes back to 1993. Today, the school offers more than 35 flexible online undergraduate and graduate programs for working adults. This includes eight associate, eight bachelor's, 14 master's, and 10 doctoral programs. Students can major in fields like human resource leadership, business administration, criminal justice, marriage and family therapy, professional counseling, and higher education administration. Many of Amridge's degrees relate to Christianity and ministry, and its Turner School of Theology offers several master of divinity programs online. Amridge provides resources and support for online learners, including a career services center where alumni offer resume assistance and networking opportunities. Students can also buy low-cost laptops to use for their coursework. Distance learners at Amridge can earn their degrees affordably. Students save money by locking in their starting tuition rate for the duration of their program. This guarantees that they will not face rising tuition rates while in school. Amridge also makes distance learning more affordable by charging online students the same tuition regardless of where they live. Students pay for their degrees per credit, with full-time learners paying less per credit than part timers. Additionally, tuition varies by degree level and sometimes by program. Online learners can further reduce the cost of their degrees by applying for financial aid. This includes federal student loans, state and federal grants, and scholarships. The school's financial aid office helps students navigate the process of applying for financial assistance. Students looking for an affordable online college should consider Texas A&M University - Commerce. A public research university located in Commerce, Texas, A&M - Commerce enrolls more than 12,000 students and is the second largest school in the Texas A&M system. The university's history of educating Texans dates to 1889, making it the fifth oldest state university in the U.S. A&M - Commerce's decision to offer distance education is part of its commitment to making higher education available to all students. A&M - Commerce offers both online and hybrid degree programs. Those available entirely online include seven bachelor's degrees in majors such as organizational leadership, business analytics, and agribusiness. Graduate students can pursue more than 20 fully online master's degrees and one Ph.D. Subjects include educational administration, early childhood education, physics, and accounting. A&M - Commerce also offers 18 hybrid programs that take place mostly online, with some in-person requirements. Online courses facilitate high levels of student participation and interaction. They follow the same academic calendar and semester system of the larger university. Distance learners enjoy access to A&M - Commerce's library resources, financial aid, career services, and university bookstore. Distance students can apply for student loans, grants, and scholarships; more than 60% of A&M - Commerce's learners receive financial aid. Online students who do not hold Texas residency pay a higher tuition rate than in-state learners. A&M - Commerce participates in National Council for State Authorization Reciprocity Agreements, which makes it easier for out-of-state students to take classes. The school also strives to make its distance learning courses accessible for people with disabilities, using eCollege, the most accessible online learning platform. Western Carolina University offers a variety of cheap online degrees. Based in Cullowhee, North Carolina, WCU started as a teaching college in 1889. Today, it enrolls over 10,000 undergraduate and graduate students. WCU's mission includes creating learning opportunities through teaching, service, discovery, and engagement. Learners select from online and hybrid programs in fields like nursing, education, and engineering. Seven online undergraduate degrees include majors in emergency medical care, business administration and law, and innovation leadership and entrepreneurship. WCU's distance bachelor's degrees are degree completion programs that require students to hold transfer credits prior to enrolling. A hybrid bachelor's in engineering technology is also available. It includes a combination of online and part-time evening study at three off-site campuses. Graduate students can pursue 11 fully online degrees in fields such as sports management, human resources, and nurse educator. Distance learners can also pursue seven certificates, including a post-master's certificate toward principal licensure. WCU accepts transfer coursework from regionally accredited universities where the student earned a grade of C or better. Learners must earn at least 25% of the required credits towards a bachelor's degree at WCU, including a minimum of 12 credit hours at the junior or senior level in the student's major. WCU's transfer FAQs offer additional information about the school's policies regarding transfer students. Undergraduate students at WCU may also receive academic credit for prior experiential learning. Each department makes its own decisions about when to award credit for experiential learning. In some cases, veterans receive credit for military service. WCU promotes college affordability by participating in NC Promise, a program that reduces the cost of tuition through financial support from North Carolina. Distance learners pay a very affordable per-credit tuition rate, with residents paying less than nonresidents. The University of Illinois at Springfield offers flexible, convenient, and high-quality undergraduate and graduate distance education programs. The school provides bachelor's degree completion programs in 14 subjects, including teacher education, business administration, English, and management information systems. Thirteen graduate online degrees include a master's in public health, a master of science in data analytics, and a master of arts in liberal and integrative studies. Students can also complete 16 graduate certificates and 10 certification or licensure programs online, including an education technology specialist certification, English as a second language licensure, and a community planning certificate. Admission requirements vary. An affordable online college, UIS offers an eTuition rate to degree-seeking students who take distance courses exclusively. Both Illinois residents and nonresidents qualify for eTuition, making the cost of earning an online degree affordable, particularly for out-of-state learners. Almost 70% of students at UIS receive some form of financial aid, including scholarships, loans, and grants. Learners should fill out the Free Application for Federal Student Aid, or FAFSA, when they apply for admission. Distance learners may qualify for a variety of UIS institutional scholarships. UIS offers a variety of support services to online students, including access to library resources, academic advising, a career development center, and information technology services. Additionally, the school's Center for Academic Success provides online peer tutoring in subjects like writing, economics, mathematics, accounting, and academic skills. Located 200 miles southwest of Chicago, the relatively young UIS started as Sangamon State University in 1969. Its mission includes preparing graduates for civic engagement, personal growth, and professional success. In 2009, the school's enrollment of 4,700 students included 900 distance learners. Today, more than 1,600 students take classes exclusively online. UIS holds regional accreditation from the Higher Learning Commission. Chartered in 1884, Mississippi University for Women in Columbus, Mississippi became the first state-supported women's college in the U.S. Women campaigned for the creation of the school throughout the 1860s and 1870s. The W started admitting men in 1982, and today it focuses on creating leadership and professional development opportunities for everyone. The school's mission includes delivering a high-quality liberal arts and professional education. The W offers four, 100% online master's degrees, in teaching, business administration, education, and public health. Undergraduates can enroll in 13 bachelor's degree completion programs. Students complete two years at a community college and finish the rest of their bachelor's online. Available majors include public health education, nursing, and specializations within business administration. Bachelor's students can also add one of six minors, such as management, legal studies, and human resources management. Distance learners without the time required for a bachelor's program can complete a general business executive certificate. As part of its commitment to making college accessible for all students, the school helps distance learners figure out how to pay for college. Everyone pays the same tuition rate, regardless of where they live. The W does not charge out-of-state tuition. Part-time learners pay per credit, while full-time students pay a flat rate per semester. The online registered nurse to bachelor of science in nursing program and the master's in business administration charge flat-rate tuition. Undergraduate distance learners may qualify for scholarships the W offers, including special awards for transfer students. Students can also investigate other options for financial assistance, including loans and grants, through the W's financial aid center. An affordable online college in Boone, North Carolina, Appalachian State University offers bachelor's, master's, Ph.D., and certificate programs in education, healthcare, and professional studies to distance learners. Students can enroll in fully online and hybrid programs through App State. The school boasts competitive tuition rates and waives most on-campus fees for distance learners. Financial aid options for online learners include student loans, grants, and scholarships. Undergraduates pursuing some education degrees may qualify for a special scholarship from the State Employees' Credit Union. Also, merit-based scholarships exist for transfer students. In-state students pay a lower tuition rate than out-of-state learners, and veterans and members of the military receive tuition reductions. App State's online learners receive access to services like the career development center, library resources, and veteran support. Online undergraduates pursue degrees in workforce education and development, child development, and business administration management. Master's students choose from 12 fully online degrees in subjects like health administration, elementary education, library science, and social work. App State's one doctoral offering is a Ph.D. in educational leadership, which it offers as either a 100% online or hybrid program. The school's 12 online and hybrid graduate certificates include specializations in autism spectrum disorders, Appalachian studies, and public health nutrition practice. All undergraduate offerings are bachelor's degree completion programs that offer junior- and senior-level upper-division coursework. Applicants must hold the required lower division transfer credit from a regionally accredited college to qualify for admission. Transfer students with 30 or more credits must hold a cumulative 2.25 GPA. Transfer students can find answers to frequently asked questions online and they can see if courses they took will transfer using a course equivalencies database. Online students at the University of Nebraska at Omaha receive the same support as on-campus learners, including academic advising, library resources, accessibility services, a writing center, a math and science learning center, and career assistance. They also receive instruction from the same experienced faculty members who teach on campus. The affordable online college offers competitive tuition rates, with in-state students paying less than nonresidents. The cost of online tuition varies depending on the program. Distance learners can apply for the same financial aid available to on-campus students, including scholarships, grants, and loans. UNO's online offerings include seven traditional bachelor's degrees and 13 bachelor of multidisciplinary studies (BMS) programs, designed for nontraditional, transfer, and military students. BMS degrees offer specializations in subjects like aviation studies, information technology, and nonprofit administration. Graduate students can pursue eight master's degrees in fields like critical and creative thinking, social gerontology, and special education. Distance learners can also pursue undergraduate and graduate certificates and school endorsements. About 9,000 students take at least one online course at UNO, with around 1,300 enrolled exclusively in distance classes. They come from 44 states and 47 countries. UNO's distance education program saw a 50% increase in online courses in recent years. As part of its effort to continually improve its online programs, the school employs an instructional technologist, two instructional designers, distance educator coordinators, and faculty liaisons for instructional design. It also provides online course development grants and coordinates an open educational resources program to lower the cost of textbooks. Established in 1908, UNO holds recognition as both a Carnegie Doctoral Research Institution and a Metropolitan University of Distinction. Its mission includes improving lives at the local, national, and international levels by encouraging excellence and lifelong learning among its students. One of the top affordable colleges in the U.S., SUNY College at Plattsburgh started in 1889 as a school for teachers. Located in Plattsburgh, New York, it holds regional accreditation from the Middle States Commission on Higher Education. Some of SUNY Plattsburgh's values include student-centered academic excellence, affordability, community engagement, and diversity. SUNY Plattsburgh offers numerous online courses and degrees. Its three completely online degrees include a 120-credit bachelor of science (BS) in accounting, a 120-credit registered nurse (RN) to BS program, and a 30- to 33-credit master's in fitness and wellness leadership. A bachelor's degree completion program, the accounting BS require students to hold an associate degree to qualify for admission. The RN to BS program requires applicants to graduate from a nursing program, hold an unencumbered New York state nursing license, and boast a minimum 2.5 GPA. The nursing program awards RN to BS students 30-34 transfer credits in recognition of their nursing license and/or graduation from an RN program that provides basic nursing training. Online learners can apply for the same financial aid as on-campus students, including scholarships, grants, and loans. Students at SUNY Plattsburgh receive more than $60 million in financial aid each year, and 33% of undergraduates receive need-based grants. Residents pay less for tuition than nonresidents. However, out-of-state distance learners may receive a tuition discount and pay substantially less than out-of-state students who attend classes on campus. SUNY Plattsburgh offers a student support services center with specialists who can help with writing, reading, mathematics skills, test taking, and note taking. They also enjoy access to library resources and research assistance, academic advising services, career development, accessibility services, and support for veterans and members of the military. A private liberal arts university located in Midway, Kentucky, Midway University began in 1847 as the Kentucky Female Orphan School. A minister from the Christian Church (Disciples of Christ) started the school to offer career preparation to girls who otherwise would receive little or no formal education. Midway remained a school for women until 2016, when it admitted male undergraduates for the first time. The school remains committed to the values of the Christian Church (Disciples of Christ), which include lifelong learning, dignity for all people, and living in a global context. Today, the affordable online college offers career-focused undergraduate and graduate degrees to distance learners across the U.S. Majors and minors available online include fields like business, nursing, education, marketing, psychology, and healthcare administration. Students can pursue two associate, 25 bachelor's, and three master's degrees online at Midway. Associate students must complete 19 general education credits and bachelor's students must complete 34 credits. Midway offers up to 21 academic credits for prior learning experiences. Students must provide proof of the knowledge gained from these experiences in order to get credit. Ways to provide this proof include credit by examination, military credit, and portfolio assessment. Midway also accepts transfer credit from other regionally accredited colleges, making it faster and less expensive for students to complete their degrees. Tuition costs the same for both in-state and out-of-state students at Midway, with online tuition about half the cost of on-campus tuition for undergraduates. Online graduate student tuition varies by program. The school's Financial Aid Center helps learners apply for financial aid, with 90% of students receiving some type of assistance. The University of South Dakota's robust, low-cost online education program makes it one of the best options for students seeking affordable colleges in the U.S. Located in Vermillion, the state's flagship university enrolls more than 10,000 undergraduate and graduate students. South Dakota's oldest university, USD dates to 1862, when the Dakota Territory authorized the creation of the University at Vermillion. Classes did not start until 20 years later. Today, USD boasts regional accreditation from the Higher Learning Commission. USD's convenient, flexible, and high-quality online programs include associate, bachelor's, and master's degrees in business, arts and sciences, health sciences, education, and fine arts. Some of its programs include an registered nurse to bachelor of science degree, a master of social work, a graduate certificate in mental health counseling, and an associate of arts in general studies. The same faculty members who teach on campus also provide instruction to online students. USD boasts competitive tuition rates for its online degrees. Out-of-state learners pay the same tuition rate as in-state students, and credit towards an associate degree costs less than that for bachelor's-level classes. Active duty military members taking online courses receive a substantial tuition discount. Online learners can apply for the same financial aid opportunities available to on-campus students, including federal student loans, scholarships, and state and federal grants. About 81% of USD undergraduates receive some form of financial aid. USD's support for distance learners includes access to a writing center, veterans' resources, library services, disability services, and computing and technology resources. USD's Online Student Handbook provides answers to frequently asked questions and outlines the school's expectations for distance students. North Carolina Central University in Durham, North Carolina offers bachelor's, master's, and certificate programs for online learners. The school's distance education program focuses on creating community-driven, interactive learning experiences with experienced faculty members committed to student success. Online learners benefit from NCCU's career services program, which connects students with jobs, internships, and other professional learning experiences. Many online programs give students the opportunity to network with potential employers inside and outside of North Carolina. Students can earn six bachelor's degrees completely online, including in early childhood education, behavioral and social sciences, and nursing. Eight fully online master's degrees include teacher of students with visual impairment, educational technology, and career counseling. Other distance education programs at NCCU include four graduate certificates, two undergraduate certificates, and one post-master's certificate. Students local to the Durham area can also pursue hybrid bachelor's degrees in criminal justice and family and consumer sciences. NCCU's reasonable tuition rates make it one of the best choices for students seeking an affordable online college. NCCU encourages distance learners to apply for financial assistance through its Office of Scholarships and Student Aid. Students taking online courses can apply for scholarships, loans, and grants. The school offers institutional scholarships as well. NCCU encourages student success by offering online library services, tutoring, career services, disability services, a counseling center, and a veterans' center. The school's writing studio offers online sessions with writing consultants. Students learn how to become better writers and get help with editing, brainstorming, working on rough drafts, and organizing ideas. An online learning 101 tutorial answers some commonly asked questions about distance learning. Learners know what to expect in NCCU's online environment. All courses follow the same consistent format and include learning outcomes, tutorials for success, instructor information, and a modular format. Louisiana Tech University got its start in 1894. The public research university in Ruston emphasizes quality teaching, research, public service, creative activities, innovation, and workforce development. It enrolls more than 12,000 undergraduate and graduate students and holds regional accreditation from the Southern Association of Colleges and Schools. Louisiana Tech offers a variety of online master's programs, including a master of arts in English, a master of science in engineering and technology management, and a master's in business administration. The school also offers one bachelor's degree for distance learners: a health informatics and information management bachelor of science. Learners can add on an adult-education certificate to any degree-granting program. They can also pursue six stand-alone graduate or post-baccalaureate certificates in subjects like dynamics of domestic and family violence, business foundations, technical writing and communication, and Six Sigma Black Belt. Louisiana Tech strives to maintain the same standards for academic excellence in its on-campus programs as in its online offerings. The school encourages online student success by offering access to a variety of resources, including electronic library services, technical assistance, and career development. An affordable online college, Louisiana Tech offers competitive tuition rates. On-campus and online students pay the same tuition and fees. Out-of-state undergraduate students can take up to six credits per quarter and pay the same tuition and fees as in-state students. After that, they must pay an additional fee per credit. Out-of-state graduate students must pay additional fees per credit after the first three. About 89% of students receive some form of financial aid. Distance learners can apply for student loans, grants, and scholarships. They may qualify for admissions and departmental scholarships as well. Based in Colorado Springs, Colorado, Nazarene Bible College offers several ministry-related associate and bachelor's degrees to distance learners around the world. Founded in 1964, the private Bible college prepares students for careers in the ministry. One of 10 higher education institutions affiliated with the Church of Nazarene in the U.S., NBC holds regional accreditation from the Higher Learning Commission and national accreditation from the Commission on Accreditation of the Association for Biblical Higher Education. NBC's experience with distance education goes back to 1998. NBC's online offerings include associate and bachelor's degrees in ministry, with majors like Christian counseling, Hispanic pastoral ministries, pastoral leadership, and Christian education ministries. Students can add minors like biblical languages and leadership and ethics and can earn their degrees through either a traditional or accelerated format. More than 1,200 students take online courses through NBC. Faculty members at NBC collectively hold over 150 years of experience working in churches. They take a personal interest in helping their students succeed. Online courses boast high levels of interaction, with regular communication between students and their instructors. Distance learners also receive access to counseling, tutoring, and individual assistance. Thanks to support from the Church of Nazarene, NBC counts itself among the most affordable online colleges in the region. Students pay significantly less tuition than they do at other private universities. In-state and out-of-state learners pay the same tuition per credit hour, and some programs require online learners to pay additional fees. To help finance their educations, distance learners can apply for financial aid. This includes student loans, grants, and scholarships. The school offers a limited number of institutionally funded scholarships. Veterans can use their educational benefits for several of the school's programs. As part of the well known University of Texas system, the University of Texas of the Permian Basin provides high-quality education to students everywhere. UTPB offers 16 bachelor's, 10 master's, and four certificate programs online. Many of these online programs follow accelerated schedules that allow some learners to earn their degrees in one year. UTPB's online degrees primarily focus on healthcare, human services, and business. Undergraduate distance learners can major in subjects like nursing, psychology, sociology, family studies, business administration, and marketing. UTPB's online courses make education flexible and financially feasible. Learners pay the same low rates, regardless of residency status. This can save non-Texans thousands of dollars. UTPB also offers flexible payment options. Each year, the school awards about $15 million in financial aid to its approximately 7,600 learners. Even with low prices, UTPB continues to offer high-quality education. As part of one of the most prominent university systems, UTPB brings credibility and recognition to resumes. Like their on-campus peers, online learners at UTPB can access the school's library and bookstore through dedicated websites. Degree candidates can also visit the career center website for live and recorded lessons, information on landing jobs after graduation, salary information, and resume assistance. In the early 1900s, the University of Nebraska at Kearney opened its doors as a school for future teachers. As needs and demands changed, the school offered more varied programs while standing by the principles of its founding. UNK aims to provide layered learning, community engagement, and productive job skills to both on-campus and online learners. UNK's online offerings include nine bachelor's degrees, 40 master's programs, 17 additional endorsements, three professional certificates, and additional coursework at every level. In keeping with the school's educational roots, many online offerings train tomorrow's educators. For example, 32 of the online graduate degrees relate to education, including programs in school administration, special subject instruction, and school counseling. Candidates can also choose certificates and coursework in topics like Montessori learning. Students can earn professional endorsements in this field as well, like gifted K-12, school librarian, and early childhood inclusive certification. The online campus provides several resources to help learners succeed, including computer literacy training, citation workshops, free antivirus software, an IT help desk, and an online library. The library includes 24/7 research assistance, electronic book rentals, and access to online research journals. Nebraska residents save about $100 per credit hour over online learners who live in other states. However, the rates may still be lower than many online colleges for out-of-state students. UNK also offers in-state tuition to degree candidates from Kansas and Colorado, due to a reciprocity agreement. The school automatically evaluates each applicant for scholarship eligibility. Undergraduate applicants must submit high school transcripts and be within the top half of their graduating class. They must earn ACT scores of at least 20 or SAT scores of at least 950. Candidates who do not meet these requirements may receive conditional admission. Graduate applicants must hold bachelor's degrees and meet the requirements of their programs. The University of North Carolina became the only public university in the U.S. to award degrees in the 18th century. Today, learners can enroll in self-paced courses that help them develop job skills or complete their core education. For example, students can earn primary care RN certificates, complete English composition courses, or learn Spanish online. Active-duty military members and veterans can complete the UNC core curriculum online as well. Learners with bachelor's degrees can join the 1,050 students pursuing online degrees and certificates through UNC. The institution offers two doctoral degrees, nine master's degrees, and eight graduate certificates through distance education. The doctoral programs cover physical therapy and healthcare administration. Master's degree opportunities include business administration, accounting, healthcare administration, public health policy, and radiologic science. Students can earn online certificates in areas like disaster management, global health, and communication technology. UNC helps learners pay for their education with tuition guarantees for in-state degree candidates. Undergraduates pay the same tuition rates for eight to ten semesters, depending on the program. North Carolina residents pay much lower tuition rates than out-of-state learners. The in-state rates earn the school a place as one of the most affordable colleges in the region. About 47% of UNC's students earn financial aid packages, with an average value of about $19,000. UNC promises degree candidates with family incomes 200% below the poverty line enough financial aid to attend without going into debt. UNC does not use formulas or scores to determine admission. Instead, the school's admissions board reviews each application. No single number decides whether learners get the chance to enroll. Ball State offers more than 70 programs completely online. At the undergraduate level, candidates can earn associate degrees, bachelor's diplomas, or certificates. Ball State offers online programs in a variety of subjects, such as business administration, criminal justice, supply chain management, and radiography. The university offers advanced learning options in subjects like adult education, business administration, educational psychology, journalism, and emerging media design. Ball State also provides programs for doctoral students and licenses for educators. Learners enjoy access to award-winning faculty and an online community. Online students enjoy the same benefits as their on-campus classmates, including access to the writing center and tutoring. Students also get free software and discounts on the technology they need to attend school. Ball State provides students with comprehensive career services to help them get started. The online resume builder and career counselors prepare learners and alumni alike. Graduates enjoy lifelong access to these benefits. These services make Ball State's programs valuable, rather than simply cheap online degrees. Most online undergraduates apply some or all of their previous college credits to their Ball State degrees. This process can reduce the time and money students spend on degree completion. The university makes higher education more affordable through other programs as well. For example, online degrees candidates who take between 12 and 18 hours in a semester pay the same flat tuition rate. The Midwest Student Exchange Program allows learners from participating states to pay the low in-state tuition rates at Ball State. Currently, students from Illinois, Kansas, Michigan, Minnesota, Missouri, Nebraska, North Dakota, Ohio, and Wisconsin can enroll through this program. As one of Oklahoma's cornerstone universities, the University of Oklahoma-Norman offers online learning opportunities for students everywhere. Learners can earn bachelor's and master's degrees, take self-paced courses, earn resume-boosting certifications, or complete professional development training through the university's Center for Independent and Distance Learning. The center also offers lifelong learning programs for senior citizens and high school students. Online degree candidates can study criminal justice, administrative leadership, economics, communication, and human relations. The school also offers less common programs like aviation, lifespan care administration, and prevention science. At OU, some out-of-state students pay higher fees, but many receive the same rates as their Oklahoman peers. For example, military students pay in-state tuition, and OU participates in the Southern Regional Education Board (SREB) tuition reciprocity program. Online learners from other SREB states pay in-state tuition at the university. Participating states include Alabama, Arkansas, Delaware, Florida, Georgia, Kentucky, Louisiana, Maryland, Mississippi, South Carolina, Tennessee, Texas, Virginia, and West Virginia. Students who attend through the Extended Campus can earn special scholarships that range in value from $300 to $1,500 each semester. The financial aid office employs a dedicated team just for online learners. These professionals help students find the right assistance for their situations. Undergraduate applicants need at least 24 hours of college credit to transfer and 2.0 GPAs or above in all previous coursework. Any learners who do not meet these requirements may earn conditional admission. Undergraduate students can start on any of the online school's five yearly start dates. Graduate candidates should hold bachelor's degrees from regionally accredited universities and 3.0 GPAs or above. The University of St Francis provides 120 online courses to 1,500 learners each semester. Online learners can earn bachelor's degrees in nursing, business, or healthcare management. The business program offers concentrations in entrepreneurship, logistics management, leadership, marketing, and human resources. USF designates these online programs as adult education plans designed for working adults. Online learners also pursue master's degrees at USF; the affordable online college offers a one-year master's in business administration with available concentrations in accounting, training, business analytics, finance, supply chain management, health administration, management, and human resource management. Learners also pursue online graduate degrees in subjects like nursing, education, social work, and healthcare administration. USF does not charge an application fee, and it charges the same tuition rates for every student. In addition to federal assistance, learners access the university's extensive list of scholarships for their students. In the 2016-17 year, graduate students at USF received $1,560,000 in aid. Online adult undergraduate students save money in other ways as well. For example, USF awards college credit for work experience, which saves students time and money. USF also offers accelerated courses that get students into well-paying jobs more quickly. The university also helps students advance their careers through exclusive job boards, a resume writing tool, and career counselors. As part of the University of North Carolina system, Winston-Salem State University provides high-quality, public education for North Carolinians. The campus opened in 1892 as a school for learners of color, and the university continues to take pride in its status as a historically black institution. The school focuses heavily on training students for service-oriented careers, as its motto emphasizes: Enter to Learn. Depart to Serve. The school offers eight online certificates and degrees, including undergraduate programs in subjects like teaching English as a second language, clinical laboratory science, interdisciplinary studies, and birth to kindergarten. Current registered nurses can earn their bachelor of science in nursing entirely online through WSSU. At the graduate level, WSSU provides programs in rehabilitation counseling, nursing, and physical therapy. WSSU students can also enroll in online courses through other schools in the UNC system. North Carolina residents find WSSU a more affordable online college than their out-of-state peers. Resident undergraduates receive fixed tuition in which their costs do not rise as long as they remain enrolled. The university awards merit-based scholarships to some students, including one for first-time college students who embody the school's values. Learners who cannot pay for tuition upfront can enroll in WSSU's payment plan through Tuition Management Services. WSSU enforces several admission requirements. First-year students need GPAs of 2.5 or above. Applicants who take the SAT must score at least an 880, and those who choose the ACT should earn scores of 17 or above. Transfer applicants need at least 24 credit hours from their previous institutions and must maintain eligibility for those schools. While graduate entrance requirements vary, many programs require GRE or GMAT scores. Of the online colleges in Louisiana, Northwestern State University of Louisiana is the oldest and the largest. The school offers 40 unique programs online. From associate degrees to doctoral degrees, NSULA's online offerings cover all levels and all subjects. Candidates who want to boost their resumes can complete certificate programs through the online campus. NSULA offers programs in global security, business writing, and teaching English to native speakers of other languages. NSULA counts among one of the most affordable colleges in the country, and all online-only learners pay low tuition rates. Furthermore, degree candidates who take more than 12 hours in a semester earn discounts on every credit hour. As a military-friendly institution, NSULA offers tuition waivers and discounts to learners with military-affiliated backgrounds. For example, learners whose parents died or became disabled during their military service do not pay any tuition. Members of the National Guard also pay no tuition. Admission requirements vary based on the program and residential status. For example, first-time students do not need to submit ACT or SAT scores if their high school GPAs are 2.35 or above. Applicants who do not meet these standards must score at least a 23 on the ACT. First-time college students 25 or older must submit ACT or SAT scores, regardless of their high school GPAs or GED scores. Graduate admission minimums vary by program. Generally, applicants need bachelor's degrees from accredited universities; sometimes these degrees must relate to the graduate programs. As the only Tier One university in Alaska, the University of Alaska Fairbanks serves as an excellent option for students everywhere. In addition to the university's six physical campuses, its online college offers a high-quality education at an affordable price. Students enjoy a low student-to-faculty ratio of 11-to-1, a wide variety of programs, and low tuition rates. The school provides six associate, seven bachelor's, and five master's degrees entirely online. The associate programs include general arts, accounting, paralegal studies, information technology, business, and early childhood education. Learners can choose between bachelor's plans in business, applied management, recreation business, psychology, justice, and homeland security. Those who have almost completed their bachelor's degrees can opt for the completion program in their majors. Graduate programs include four specialties in special education, justice administration, education innovation, security and disaster management, and business administration. UAF also offers certificate and professional endorsement programs like those in administrative assisting, personnel management, medical coding, and financial services. All online courses qualify for UAF's low in-state tuition rate, regardless of students' residency. Certain occupational endorsement and certificate candidates receive an additional 25% discount on tuition costs. Students who want to learn how to go to college for free can browse the university's scholarships page, which hosts awards for all types of learners. Associate degree candidates need high school diplomas or GEDs. Bachelor's applicants with 3.0 GPAs or above must submit ACT or SAT scores, but they do not need specific scores. Those with GPAs between 2.5 and 2.99 need ACT scores of at least 18 or SAT scores of at least 955. Graduate degree candidates need 3.0 GPAs from their bachelor's degrees. At the undergraduate level, Dakota State University offers six associate degrees, 14 bachelor's diplomas, and six certificates. Learners can choose from a variety of majors, including business, education, and computer science. The school also provides four graduate certificates, seven master's degrees, and two doctoral degrees for online students. Most of the graduate programs relate to information technology, including some in health information management, cyber operations, and banking security. DSU serves as a popular online community college choice for military-affiliated students. The Community College of the Air Force partners with DSU to make college degrees more affordable and accessible for Air Force personnel. The school maximizes the number of credits it transfers from CCAF learners and charges all active-duty service people low tuition rates. DSU also offers veterans and active personnel support services, such as a dedicated admissions team, tuition exemptions for South Dakota veterans, and the Military Resource Center. At DSU, online learners pay the same tuition rate per credit regardless of how many hours they take per term. Learners who do not live in South Dakota only pay out-of-state tuition for computer science programs. Degree candidates who actively serve in the military receive steep discounts on tuition as well, regardless of their official residence. Furthermore, DSU cements itself as one of the most affordable online colleges by refusing to charge distance students fees that on-campus learners incur, such as for gym and janitorial services. DSU participates in the State Authorization Reciprocity Agreements (SARA). As such, learners from other SARA states can rest assured knowing the school provides the same academic rigor as similar institutions in their home states. One of the country's most affordable online colleges, Southern Miss waives out-of-state surcharges for fully online students. Part-time students pay a set tuition rate per hour. Those who take full-time course loads pay a fixed amount for the whole semester, even if they enroll more than full time. While all students should complete the Free Application for Federal Student Aid form, Mississippi residents can also access the state's financial aid programs, which award millions in assistance every year. Southern Miss provides significant assistance to military service members and veterans through the Center for Military Veterans, Service Members and Families. The Center gives such learners special support, including access to scholarships and assistance navigating the GI Bill®. The university also provides special aid for online transfer students. These learners apply for the Southern Miss Transfer Academic Scholarship, which awards between $4,000 and $8,000. Learners can choose from 15 online bachelor's programs in areas like healthcare, business, information technology, and education. Two of the bachelor's degrees require some on-campus courses. Southern Miss also provides 30 graduate degrees, six certificates, and three executive format programs. A few of these graduate-level courses also require in-person components. Undergraduate applicants with high school GPAs of 3.2 or higher must submit SAT or ACT scores. However, these learners do not need to obtain any specific exam scores. Candidates with GPAs between 2.5 and 3.1 must score at least 16 on the ACT or 770 on the SAT. Graduate candidates need at least 2.75 GPAs on the last 60 hours of their undergraduate coursework; they must also submit GRE or GMAT scores and send letters of recommendation. Each school within the University of Maryland-College Park runs its own online programs. For example, the UMD School of Nursing offers online courses at every level, including registered nurse to bachelor of science in nursing programs and doctor of nursing practice courses. However, the school does not guarantee that all classes in these programs are online each semester. The School of Public Health offers an entirely online master's degree that promises learners can take each course from afar. Over the summer, the Office of Extended Studies offers online courses in several areas, including English, business management, economics, education, and engineering. These courses do not constitute full programs, but they supplement learners who want to graduate quickly. UMD offers online synchronous, asynchronous, and blended courses to meet students' needs. The university simplifies online learning with the Enterprise Learning Management System. This gives learners access to both the static and interactive portions of their courses. Degree candidates can attend live video chats, read the syllabus, and complete homework in one place. To make online courses as much like in-person counterparts as possible, UMD requires distance learners to interact with professors and classmates via live discussions, emails, threaded discussions, video conferences, and chat rooms. UMD is one of a growing number of affordable online colleges and universities that provide Massive Open Online Courses through both Coursera and edX. Through these platforms, learners can enroll in classes like cybersecurity, management, programming, marketing, and accounting. Each course helps learners build real-world skills that can boost their careers. For a nominal fee, students can also earn certificates that fill out their resumes. UMD professors teach these classes, so students know they receive top-quality instruction. The university also offers master's in business administration core curriculum and certification in project management through edX. Degree candidates at Eastern New Mexico University can choose from over 30 online programs, including bachelor's, master's, and bachelor of applied arts and sciences (BAAS) plans. ENMU offers a rich variety of subjects online. Bachelor's degree candidates can pursue majors in business, Spanish, education, social sciences, health, and mathematics. The bachelor of business administration includes eight unique concentrations. Online BAAS programs cover the same areas and offer learners with associate degrees faster paths to their degrees. Master's programs include subjects like education, business administration, coaching, communication, counseling, and nursing. Online students can access several helpful resources, including a writing services center for help on papers and library services for research. Like on-campus degree candidates, distance education students can access counseling services that help them cope with the stresses of school, work, and home lives. Although New Mexico residents pay the lowest tuition rates at ENMU, other learners receive substantial discounts with the Western Undergraduate Exchange (WUE) program. Learners in other WUE states pay approximately the same tuition rates as in-state residents for certain programs. WUE states include Alaska, Hawaii, Washington, Oregon, California, Idaho, Nevada, Utah, Arizona, Montana, Wyoming, Colorado, New Mexico, North Dakota, and South Dakota. Candidates from the non-state territories of Guam and the Northern Mariana Islands can also participate. Students from New Mexico can apply for awards like the ENMU Foundation Starter Scholarship and the New Mexico Lottery Scholarship. Out-of-state learners can apply for other academic scholarships, which the school awards to candidates of all learning levels and individuals from the military. The school considers applicants for admissions scholarships, which help learners based on merit and need. To get a better idea of how much ENMU costs, students should use the net price calculator. This calculator considers tuition costs, any aid the student receives, and how long a program takes. The Higher Learning Commission regionally accredits ENMU. The school also participates in the National Council for State Authorization Reciprocity Agreements. Learners everywhere can access the University of Memphis through U of M Global. The school offers 60 programs in art, business, education, engineering, health professions, humanities, and social science. Students can earn bachelor's, master's, and doctoral degrees in majors such as nursing, adult education, healthcare leadership, music education, and business administration. The school also offers graduate certificates in areas like nonprofit leadership, journalism, and signal processing. These relatively short programs can boost resumes and teach learners in-demand skills. No matter where students live, they pay the same low tuition rates for online programs as their peers. This affordable online college also provides several payment methods and cost reduction options to make paying for an education easier. Students pay through installment plans, employer reimbursement schedules, or direct employer billing. U of M provides scholarships to students from many different backgrounds. For example, learners who transfer from other schools, who reach certain ages, or who demonstrate desires to change their communities can earn substantial financial aid. Learners who master a subject without taking formal courses can earn credit by examination and experiential learning credits. Military servicemembers and veterans can transfer their credits as well. These methods help make U of M more affordable, especially for nontraditional students with experience. Furthermore, the school discounts or waives fees and tuition for specific learners, including state employees, university employees and their families, those with public school teachers for parents, and people with disabilities. Distance learners receive personalized support. The online library includes research guides, journals, and databases. Students receive online tutoring around the clock. Degree candidates can use the career guide, resume builder, practice interviews, and career fairs to help them in their job search. SUNY Polytechnic Institute offers online master's degrees and certificates for graduate learners. As a polytechnic school, SUNY Poly provides programs in science and technology fields, and this focus carries over to its online offerings. Candidates can pursue areas like nurse education, technology management, information technology, forensic accounting, nurse practitioner, and cybersecurity. These distance education programs vary from completely online and asynchronous to online with live teleconferences and hybrid programs with on-campus requirements. Candidates who wonder whether online learning works for them can take a sample course or complete the school's online readiness quiz before applying. Students who worry about how to pay for college may find some relief at SUNY Poly. More than 85% of the student population receives financial aid. The school provides scholarships for first-time students, returning learners, and transfer students. Local students enjoy the institution's robust work-study program. Students who take part-time credits or come up against extenuating circumstances can also find assistance. Candidates can use the net price calculator to better understand their potential costs and aid. Each online graduate program lists different criteria. Generally, programs award applicants points based on GMAT scores and undergraduate GPAs. Learners must earn a specified number of points to merit consideration. For example, the master's in business administration in technology management requires applicants to receive a score of at least 400. To know their standing, learners multiply their undergraduate GPAs by 200 and then add their GMAT scores. Many of the certificate programs require the same points from the same systems, including the forensic accounting plan. The nursing degrees list more stringent requirements, including at least 2,000 working hours as registered nurses. Students can choose among hybrid, synchronous, and asynchronous online courses through the University of North Carolina Wilmington. The school offers undergraduate and graduate degrees in these formats. The online bachelor's programs include majors like clinical research, criminology, nursing, and elementary education. Graduate students choose programs in subjects including chemistry, education, nursing, history, and product development. Degree candidates in online programs can access student services such as online textbooks through the bookstore, peer-to-peer tutoring, library services, and the writing center. Each school within UNCW sets individual tuition rates for online learners. However, the school provides estimates for prospective learners. While on-campus learners pay different rates depending on their residency statuses, online learners incur the same low costs regardless of where they live. UNCW also offers a net price calculator to help learners budget for their educations. Like many affordable online colleges, UNCW awards scholarships for different types of learners. In addition to need-based awards for which the Free Application for Federal Student Aid, or FAFSA, determines eligibility, UNCW awards scholarships for exceptional students who demonstrate promise in their fields. Learners also earn awards for pursuing high-need careers like education and service. The school assigns both prospective and current students their own financial aid advisers. This process simplifies finances for students and makes college more accessible. Undergraduate students who apply to UNCW as first-time college learners must submit high-school transcripts. Undergraduate learners with at least 24 transferable college credits must earn cumulative GPAs of 2.5 or above to earn admission consideration. Each graduate program posts its own admission requirements, although applicants must hold bachelor's degrees. Those with certain GPAs earn GRE or GMAT requirement waivers. Some programs do not require entrance exam scores. How Much is Online College? The cost of online colleges varies by degree level, the student’s residency status, and the type of institution. The cheapest online colleges include community colleges and in-state public schools. Scholarships, grants, and financial aid can lower the cost of an online degree. Attending an online college can save students money on tuition, transportation, and room and board. Out-of-state students often save a significant amount by attending online schools. Prospective students benefit from the many diverse, cheap online degrees that are available. Where Can I Get Cheap College Books Online? Online students can save money on books by finding used copies, choosing ebooks, or checking out books from the library. Books make up a significant cost of attending college, so researching money saving options, as discussed below, can help students afford their degree. Can You Use Pell Grants for Online College? Online students wondering how to pay for college benefit from federal financial aid, including the Pell Grant program. Accredited online colleges and universities meet the same standards for federal aid as on-campus programs. In addition, online students may qualify for multiple scholarship opportunities. What is the Best Affordable Online College? The best affordable colleges offer quality education at a lower cost, potentially saving students thousands of dollars in tuition costs. Prospective students can research the cheapest online college that best fits their career goals and interests. Our list includes cheap, out-of-state colleges, public universities, and community colleges. When choosing an online program or college, accreditation is one of the most reliable indicators of quality. Accreditation ensures an institution offers a quality education and adequate career preparation. Accredited colleges and programs are assessed by accreditors at regular intervals to guarantee that standards are met. National and regional accreditation evaluate an entire college or university for academic quality. Institutions voluntarily undergo accreditation reviews conducted by independent agencies, which assesses student learning outcomes, graduation requirements, and faculty qualifications. Regional accreditation traditionally evaluates liberal arts and research institutions, while national accreditation evaluates vocational and trade programs. Six regional accrediting agencies operate in different parts of the country. Regional accreditation remains more prestigious than national accreditation. Credits earned at a regionally accredited institution are more likely to transfer to another school, and a regionally accredited degree meets more requirements for licenses and certifications than an unaccredited degree. Attending a regionally accredited institution also qualifies students for federal financial aid opportunities. Prospective students can check an institution’s accreditation status using the U.S. Department of Education’s Database of Accredited Postsecondary Institutions. Multiple independent nonprofit organizations accredit colleges and universities. Accrediting agencies must gain recognition from the U.S. Department of Education (ED) or the Council for Higher Education Accreditation (CHEA) to offer accreditation. The ED oversees accrediting agencies, ensuring an independent process. The CHEA, an association of 3,000 colleges and universities, also oversees the process by recognizing accrediting agencies. Both organizations provide information on accredited schools, which students can access from the ED site or from the CHEA databases and directories. Programmatic accreditation evaluates specialized programs within a college or university. For example, the Association to Advance Collegiate Schools of Business evaluates accounting and business programs, while the Council on Social Work Education accredits social work programs. These specialized, independent agencies help set standards for education, applying expertise to certify the best programs. Programmatic accrediting agencies do not operate in every field. Many social sciences, hard sciences, and humanities disciplines do not receive programmatic accreditation. Instead, the regional accreditation process assesses these disciplines. Prospective students should research whether programmatic accreditation exists in their field and prioritize programs that hold this specialized accreditation. While online learning makes higher education more accessible, the anonymous nature of the internet makes it easier for illegitimate colleges (often referred to as “diploma mills”) to offer fraudulent education to students. These schools are often accredited by false “accreditation mills” without government authority or academic recognition. Before investing in an online program, investigate its accreditation status and accrediting agency to assure the legitimacy of both. The majority of accrediting organizations are recognized by either CHEA or ED, so exercise extreme caution if an accreditation organization doesn’t appear on their list. For many students, one of the most appealing aspects of online education is its reduced cost, which can often be half that of conventional campus education. A study from the University of the Potomac reports that the average cost of a traditional degree is about $85,000, while the average cost of an online degree is $35,000. Online students also save on many of the built-in costs of campus education, such as commuting and travel expenses, room and board, and other fees. The flexible nature of online learning makes it easier for students to maintain a job while pursuing their degree. It’s important to note that tuition varies by online school, and that online doesn’t always mean cheaper. Some schools offer the same tuition for online courses and campus courses, and others may charge an additional online education fee. Avoid overpaying for online courses by comparing tuition rates between schools, and consider purchasing digital rather than physical textbooks, which can reduce costs substantially. Students looking for the cheapest online college may save money by choosing an in-state school. Public in-state colleges and universities offer a tuition discount to residents. According to College Board, public schools charged $10,230 on average to in-state students during the 2018-2019 school year; out-of-state students incurred an average tuition rate of $26,290. However, many public colleges offer tuition discounts for online students attending from out of state. Some colleges charge a flat rate for online classes, regardless of the student’s residency status. Online students benefit from tuition exchange programs, which provide discounts for out-of-state students. For example, WICHE, an organization representing 16 states, runs the Western Undergraduate Exchange, where students from member states can attend out-of-state public colleges and pay in-state tuition. Other regions offer similar programs, including the Academic Common Market and Electronic Campus Program and the Midwest Student Exchange Program. Learn more about the cheapest out-of-state tuition by reading our rankings for the most affordable in-state and out-of-state public universities. Community colleges are among the most affordable online colleges. Earning an associate degree from an online community college before transferring to a four-year college can save students thousands of dollars in tuition. Two-year colleges charge $3,660 in tuition on average, according to College Board, while in-state, public four-year colleges, which are the least expensive option for a bachelor’s degree, charge $10,230 in tuition each year. Transfer students with an associate degree often only need an additional two years at a four-year institution to earn their bachelor’s degree. Many community colleges offer transfer agreements with four-year public schools in their area, maximizing the number of eligible transfer credits toward a bachelor’s degree. For example, four-year schools may waive the general education requirements for transfer students with an associate degree. In addition to public two-year and four-year colleges, online students can choose private colleges. In general, private colleges charge higher tuition rates than public colleges. However, financial aid opportunities may make a private college more affordable than a public college. Many private research universities rely on private contributions, which can translate into higher financial aid packages. Some of these funding opportunities rely on merit-based assessments rather than financial need. According to College Board, public colleges charge an average of just over $10,000 a year for in-state students and over $26,000 a year for out-of-state students. Private colleges, by comparison, charge over $35,000 per year. Public colleges often charge lower tuition rates because they are typically funded by state governments. Because private colleges do not receive state funding, they rely on student tuition to cover more expenses, accounting for the higher tuition rate. However, the recent decline in state funding means increases in public school tuition. For example, since 2000, the average net tuition at public four-year schools rose 136%, while private school tuition rates increased by only 17%. Private colleges typically enroll fewer students than public colleges, offering a lower student-faculty ratio. However, because of their smaller size, many private colleges offer fewer degree options than public colleges. Students seeking a more intimate learning setting can read our most affordable small private colleges ranking. When paying for college, online students often save on expenses that on-campus students incur. For example, online students save on commuting and housing. Additionally, out-of-state online students attending public institutions often pay significantly less than out-of-state, on-campus students. However, online students may need to pay fees that on-campus students don’t, such as fees to access learning technology systems. Assessment Fees: Some programs charge fees for assessments. This can include tests to demonstrate proficiency in a subject, grant credit for prerequisites, or determine a student’s course level placement. Graduation Fees: Online programs may charge a fee to process graduation paperwork and grant a degree. The fee may cover the cost of the diploma and participation in commencement. Technology Fees: Technology fees, also known as distance learning delivery fees, cover the cost of providing online learning technologies for students. Students may pay a fee per course or per term. Required Travel Fees: Some online programs include residency, on-campus orientation, or travel requirements, which students must factor into their expenses. The U.S. Department of Education’s College Scorecard reports that college graduates can expect to earn more than $1 million over their lifetime compared to those with only a high school diploma. For many students, a primary concern is earning a degree without incurring huge amounts of student debt. In fact, 34% of students in a 2018 Learning House Survey reported that cost was their main concern when enrolling in an online program. Online learning is convenient, flexible, and affordable, but it may not work with every student’s learning style. Successful online learners generally possess a combination of the following traits. Online students are accountable to themselves, and they bear the responsibility for remaining dedicated to schoolwork without a classroom environment to motivate them. Many online assignments are performed independently, on the student’s own schedule. Online learners must be disciplined to make sure they don’t fall behind in their studies. Students must be able to adapt to changes in different technology tools and online instruction methods, which can differ between classes. Communication becomes even more important when students can’t interact in a classroom environment. Online learners need strong written and oral communication skills to interact with peers and faculty. Online students must keep track of all their assignments and coursework, and many of them balance their education with work and family. Tuition is often a primary concern for students when searching for the cheapest online college, but it’s not the only important factor. Students should also consider the careers that a program will prepare them for. Students should research whether prospective programs align with their career goals and whether their degree provides ample job opportunities. Most students pursuing their bachelor’s degree online choose from the same majors as their on-campus counterparts. A 2018 Learning House survey found that the most popular majors for online students include business, health and medicine, computers and IT, social sciences, criminal justice, and law. Below, we outlined career, salary, and employment information for common degrees. Note that this is just a sample of the available degree options. Earning a business degree prepares graduates for lucrative careers in growing fields. Business professionals work in accounting, management, marketing, financial services, and other subfields. Many business programs let students specialize their degree. View our rankings of the most affordable online business and management programs. Within health and medicine, professionals with a bachelor’s degree work as registered nurses, while nurses with a master’s degree can become nurse practitioners, who can earn an average salary of over $110,000. Career Options: Emergency nurse, neonatal nurse, nurse practitioner, medical assistant. View our rankings of the most affordable online nursing and healthcare programs. Careers in computing and IT offer growth potential and above-average salaries. Computer science, information systems, and software engineering graduates qualify for multiple opportunities within the tech sector. Career Options: Computer programmer, computer engineer, computer systems analyst, computer and information systems managers, IT specialist. View our rankings of the most affordable computer and technology programs. Within law and criminal justice, graduates pursue careers in law enforcement and the judicial system. Within the social sciences, graduates work in psychology, social services, economics, and other positions that require analytical and writing skills. Some positions, including lawyer and psychologist, require a graduate degree. Career Options: Police officer, paralegal, legal assistant. Unemployment rates vary by education and industry. The following table collects information from Georgetown University’s study The Economic Value of College Majors. This chart, also based on data from Georgetown, collects salary information for different career stages and industries. Even if you choose a cheap online college, funding an education can be difficult. Students benefit from several financial aid opportunities to finance their education. Federal financial aid is only available to students enrolled at accredited colleges recognized by federal accreditation agencies. The Free Application for Federal Student Aid (FAFSA) is a form that students complete to determine their eligibility for federal financial aid programs, including grants, scholarships, loans, and work-study opportunities. Completing the FAFSA is one of the most important steps to attain student aid. The FAFSA is released on January 1 each year, and most financial aid opportunities are offered on a first-come, first-served basis. Consult our FAFSA guide for help completing the form and ensuring that you get the maximum amount of aid available. Scholarships A scholarship is a financial award to cover the cost of education. Most scholarships are merit based, meaning they’re awarded to students contingent on achievement, such as athletics, academics, or community activism. Public and private organizations may offer awards that correspond to their goals or values. Many scholarships are offered to students pursuing a specific field. Scholarships don’t need to be repaid, so they are typically competitive. Many scholarships require students to meet certain criteria, such as maintaining a specific GPA, and funding can be withdrawn if the student falls below the set standards. Loans Loans must be paid back after graduation, typically through monthly payments. Many student loans offer lower interest rates and lower payments than conventional loans. While grants and scholarships provide a set monetary amount, loans allow students to borrow as much as they need to cover the cost of their education. Several student loan options become available after submitting the FAFSA. Grants Most grants are need based, meaning they are available to students based on financial circumstances. Many grants are for learners who are low income, members of an ethnic minority group, or first-generation college students. Grants are commonly offered through state and federal funding, such as the Pell Grant, which is the most widespread grant program in the country. By submitting the FAFSA, students can determine whether they qualify for Pell Grant funding. Other grants may be available through community organizations, state governments, and schools. Work-Study Work-study programs use federal and state funding to provide students with part-time jobs while they’re in school. Many work-study jobs are offered on campus, allowing students to find convenient work and gain experience that may be related to their academic interests. Most work-study jobs aren’t available to online students, but there are some exceptions. Check with college financial aid offices to learn about available work-study options. Visit our Affordability Center to learn more about financial aid and to view our catalogue of scholarships. Online students qualify for multiple scholarship opportunities, which can provide thousands of dollars toward a college degree. For more opportunities, visit the full list of college scholarships. Who Can Apply: Nursing students and majors in any field of medicine qualify for the scholarship if they attend an accredited program, including accredited online colleges. Applicants must have a minimum 3.0 GPA. Who Can Apply: Students majoring in education qualify for this federal grant. Recipients must commit to four years of teaching at a low-income school in a high-need field, or the grant converts to a loan. Who Can Apply: The award funds students at two-year institutions who plan to transfer into a four-year college or university to earn a bachelor’s degree in accounting or similar field. Applicants must have a minimum 3.0 GPA. Who Can Apply: Online students attending full time or part time qualify for the award, which is offered by the Foundation of Financial Service Professionals. Applicants must pursue a degree in financial services or accounting. Who Can Apply: Students earning a degree in human services qualify for multiple scholarships offered by the NOHS. Some awards fund students earning an associate, bachelor’s, or master’s degree, including online students. Who Can Apply: High school seniors with a documented learning disability or ADHD qualify for the award. The scholarship funds students attending vocational, technical, or two-year community colleges. Who Can Apply: The program funds underrepresented minority students majoring in chemistry or a related field for their bachelor’s degree. Applicants must attend an accredited college or university. Who Can Apply: Female students majoring in computer science, computer engineering, or a closely related field qualify for the award. Applicants submit a resume, transcripts, three references, essays, and an optional video or multimedia submission. Who Can Apply: Students majoring in early childhood education at an accredited college or university qualify for the scholarship. Applicants may be attending two-year or four-year colleges or earning a master’s degree. Who Can Apply: College students with a cancer diagnosis qualify for the scholarship. Applicants must be full-time students enrolled in a degree-earning program at an accredited college or university. Adopt Healthy Spending Habits: Practicing healthy spending habits in college helps save money while earning a degree and builds valuable skills for the workforce. College students should use their credit card responsibly to build their credit score and avoid credit card debt. Tracking spending helps college students match their lifestyle to their budget. Several resources, including Spending Tracker, Habitica, and Slice, help college students track spending habits. At-home Meal Preparation: Cooking at home can save thousands of dollars per year. Students who buy lunch every day spend around $10 on their meal, which amounts to over $2,500 a year. Students who bring lunch from home only spend around $6.30 on that meal. Students can build healthy, affordable habits by meal prepping every week using meal planning apps. When eating out, tools like CheckPlease Lite can save students money. Use Student Discounts: Online students should take advantage of student discounts offered by businesses. Many businesses offer student discounts on products, services, or memberships. For example, students can sign up for a free six-month trial of Amazon Prime. Many universities negotiate discounts with nearby businesses. Student organizations and campus events may also offer free or inexpensive activities. Find Cheap Textbooks: According to College Board, the average college student spends more than $1,200 a year on books and supplies. Online students can save money by researching cheap or free textbooks and other school materials. Used books, ebooks, and books from the library are cheaper alternatives to new books. Resources like StudentRate Textbooks and Textbook Me can help students find cheap textbooks.